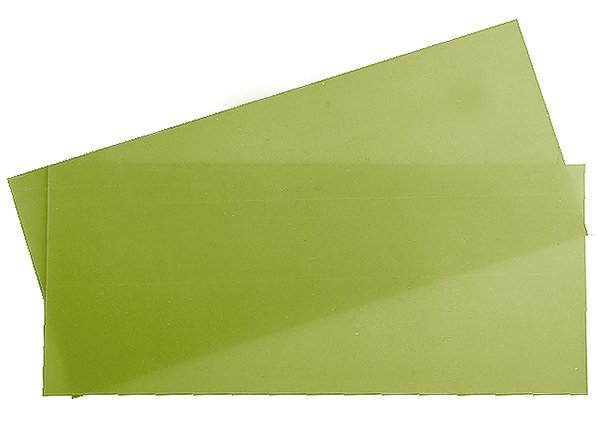 High-quality GFRP sheets of E-glass fabric and epoxy resin. The material employs a DCD-cured epoxy system (flame retardant type with bromine) with a Tg of 135 °C (DSC). It offers excellent thermal resistance, due to the special resin system and the low coefficient of thermal expansion in the Z-axis. Time to delamination of the laminate at a temperature of 260 °C is 12 minutes and the decomposition temperature is 315 °C. The product is listed as FR-4 and can be processed using standard parameters. It corresponds to NEMA-grade FR-4 and meets the requirements of IPC-4104C /21.